Chances are you know SKF for the bearings that keep your equipment running smoothly and efficiently. And with good reason: SKF bearings set the world standard for quality and reliability and are original equipment components in industrial machinery of every kind – motors, pumps, fans, gearboxes, conveyors, machine tool spindles and more. When you think SKF, think bearings, of course. But also think of them for advanced sealing solutions, linear motion technologies, automatic lubricators and centralized lubrication systems, and a wide range of tools and services, from shaft alignment, bearing mounting/dismounting and bearing remanfacturing to condition monitoring with industry-leading hardware and software. Through IBT Industrial Solutions, you can access a wide range of SKF products, solutions and services – all designed to help you increase machine uptime, reduce maintenance, extend service life of equipment and components, cut lubricant use, reduce energy consumption and optimize your manpower resources. And if you have an industry specific application, SKF may have just the right solution. 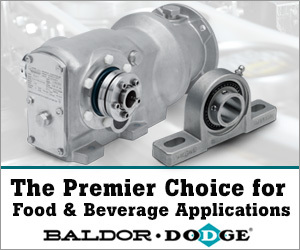 From energy-efficient bearings for electric motors to dry lubrication systems for conveyors, they have developed solutions to improve performance in diverse rolling machinery.